I had an extra PT session today. It was unplanned, but very welcome. One of those moments when you realise that your enjoying life and things are great. 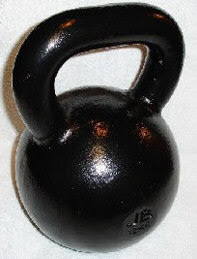 Today, I did a Kettle Bell session. 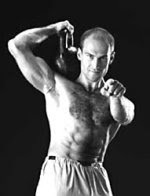 Which is basically a set of various exercises using the bell above, needing technique, timing and concentration. It was probably one of the best sessions because it was new. BC has the patience of a saint. Excellent stuff. 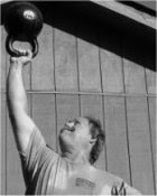 Lots of different movements, lots of thinking and lots of concentration, I used to hate exercise, especially when I was at school, but I reckon on reflection, a lot of my loathing had to do with how you were made to feel. I had a lot on my mind today, if I had managed to sell my house I would have been sitting on a plane heading to Singapore and then to Australia. My plans to go would have worked out and my future unclear but filled with new hopes and dreams. I will miss a lot of things about Ireland, some of its people, the familiarity, my family and my friends. I will miss my PT sessions too.